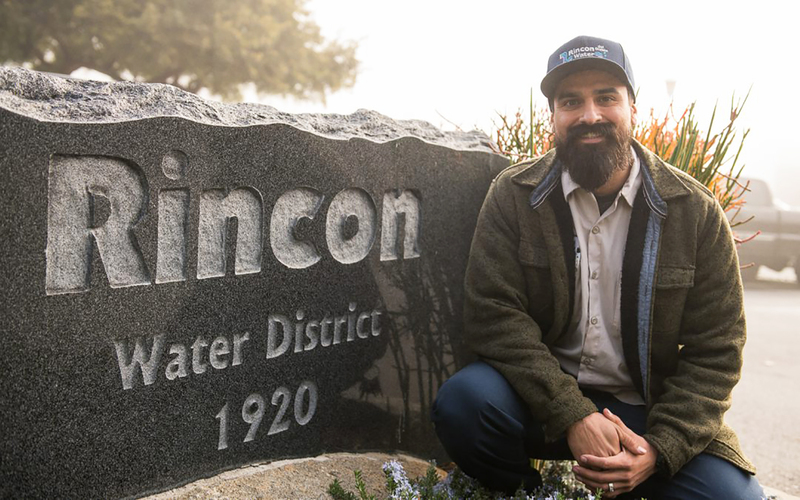 Josh Lomeli at the Rincon del Diablo Municipal Water District in Escondido, where he is a new water technician. 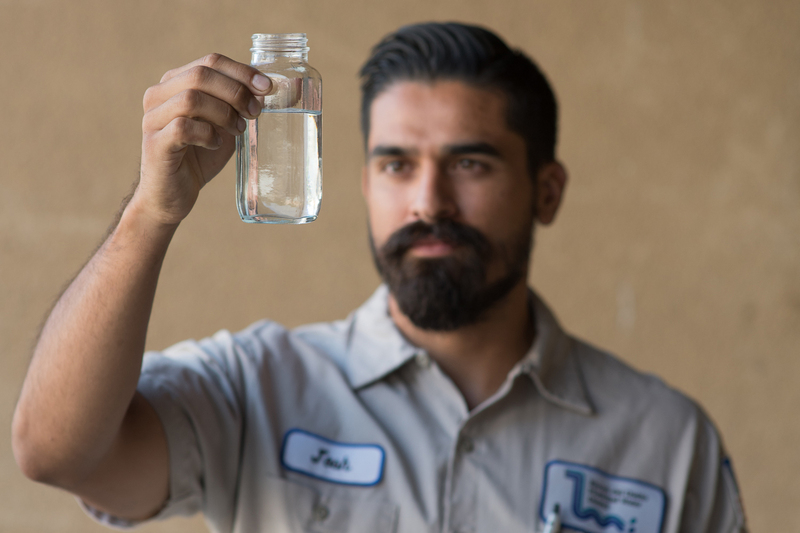 A Palomar student on the cover of the Spring 2019 Class Schedule will earn his degree in Water Technology this year. He is already on the job with the Rincon del Diablo Municipal Water District in Escondido. Like many students, Josh Lomeli cycled through a handful of career ideas before settling on water. After all, it was one field that would never run out of opportunity: “Everyone needs water,” he said. Lomeli’s father, Joe, has worked in water technology and operations for more than 25 years and currently serves as the Operations Manager for the Ramona Municipal Water District. Once the younger Lomeli had decided to follow the same path, the 28-year-old husband and father of three came to Palomar College. Lomeli recommends to others interested in pursuing water technology to enroll in water classes as soon as possible, since the education gives applicants an edge with water districts. There are also State Water Resources Control Board exams to pass, and certifications to earn. According to Lomeli, it’s a job that combines technical expertise with hands-on labor. “I started off as a Water Service Technician, and over a period of time, they prepare you for more responsibilities,” said Lomeli. “So I’m still doing labor, but I’m also working with meters, programming radios, doing construction, laying down pipe, operating the system. He said water service is like many other service industries: If all goes well, the customer doesn’t have to think about it, blissfully unaware of the thousands of people working hard, across a variety of agencies, to deliver drinking water to local homes and businesses. As a student with a family and a job, Lomeli said he found a good fit in Palomar’s water program, which has enabled him to chip away at his associate degree two classes at a time. He expects to graduate at the end of 2019. Reprinted courtesy of Palomar Community College District. (c) 2018, All rights reserved.